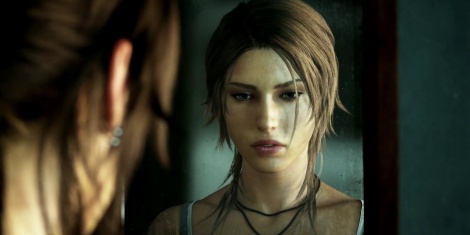 This is the trailer for the new Tomb Raider game. It's pre-rendered so don't expect it to look like that in-game. Although the trailer is good, I wish we could see what the in-game graphics will be like. We know for fact that for Xbox 360 & PS3 they will look like crap because those consoles are completely outdated. The last Tomb Raider game, Underworld, had some great photo realistic environments. I think I have another blog post about photo-realism in games. (I'll add a link here later) Of course many years have passed since the last game came out and so you would expect the graphics to improve and really push PC's (forget about consoles, even counterstrike would push the available consoles we have now). I don't have my hopes up though, I think in-game footage will be the usual plasticy-looking Lara Croft we've come to know and love.